School board members and district officials should be excited about Gov. Gavin Newsom’s focus on pressing K-12 education issues in his proposed 2019-20 budget, but larger inroads need to be made — particularly in boosting Proposition 98 base funding. That was the takeaway from the Jan. 25 Capitol Advisors Group Budget Perspectives Workshop at the Sacramento County Office of Education, held in partnership with CSBA and other organizations. Capitol Advisors President Kevin Gordon shined a spotlight on Gov. Newsom’s call for pension relief, an area in which CSBA and its members have heavily advocated, and called the move a strong step in the right direction. 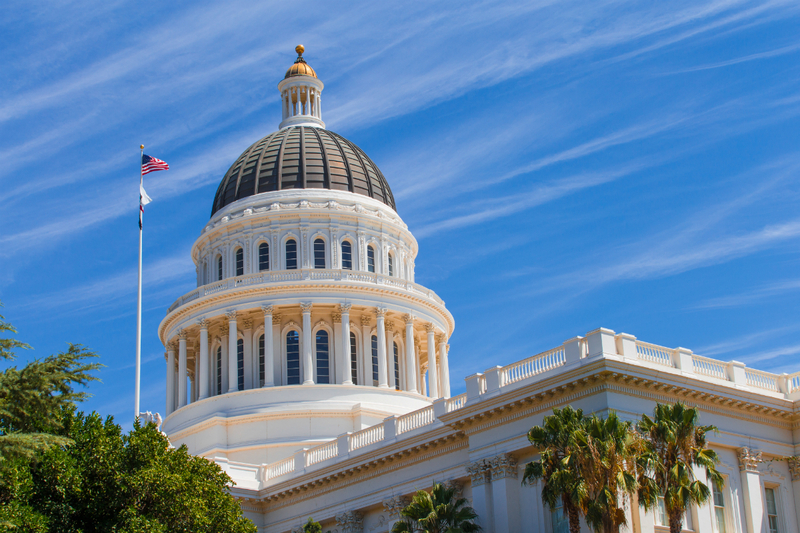 Projected to save districts about $6.9 billion over the next three decades, Capitol Advisors said, the budget proposes $3 billion in one-time non-Proposition 98 for CalSTRS relief. The proposal includes a $700 million ($350 million each for 2019-20 and 2020-21) direct buy-down of employer contribution rates, reducing rates by 1 percent in each of those two budget years, and $2.3 billion committed to reduce the employer unfunded liability, with a resulting 0.5 percent projected reduction in employer contributions beginning in 2021-22. Still, Gordon said, people need to remember that the plan doesn’t mean a dollar of new money going directly to schools, but rather a lower bill than expected in tight financial times. The Governor’s inclusion of school facilities in the budget is an additional positive sign, Gordon said, as the proposal represents a drastic shift from the previous administration’s caution in releasing Proposition 51 bond funds. Gov. Newsom’s budget calls for $1.5 billion of bond sales in 2019-20 for the School Facility Program, an increase from $653 million in 2017-18. His proposal would also fund 10 additional positions for the Office of Public School Construction to process and administer project applications. Backing his passion for early childhood education, Gov. Newsom also proposes $750M in one-time non-Prop 98 funds for the construction or retrofitting facilities for full-day kindergarten. “It is a massive addition to the $100 million from last year,” said Capitol Advisors partner Lee Angela Reed. For as much as the workshop focused on Gov. Newsom’s budget proposal, the recently settled strike in the state’s largest school district may best illustrate the state of K-12 funding. Gordon said even with all of its resources and Local Control Funding Formula supplemental grants, Los Angeles Unified is struggling to keep up with the rising costs of pension contributions, special education and the general cost of doing business. “It’s no wonder we have hundreds of school districts struggling to balance the budget,” Gordon said. The underlying problem lies in the continued lack of base funding in Proposition 98, Gordon said, even though legislators and the public see that the fund is at its highest level ever. “We all know that LCFF is a terrible base, and it’s anemic,” he said. Gov. Newsom’s budget calls for a welcome and higher-than-anticipated 3.46 percent cost-of-living adjustment to Prop. 98, but that amount simply keeps up with the cost of doing next year’s business. Therefore, district officials and board members should advocate for efforts such as CSBA and ACSA’S Full and Fair Funding campaign, which would raise the state’s K-12 funding to the national average by 2020 and to the average of the top 10 states by 2025. “Now is the time to have the conversation about it,” said Reed, citing the opportunity to fully serve all of California’s 6.2 million public school students. More than 500 school districts and county offices of education have adopted Full and Fair Funding resolutions. With Democrats maintaining the governorship and regaining a supermajority in the Legislature, Gordon said the party will likely pull itself in different directions and experience divisions over priorities and funding. Gov. Newsom, he said, will need to balance his campaign promises and passions with the fact that he inherits a very healthy financial situation from Gov. Jerry Brown. “The number one issue that will get him in trouble is throwing the state back into red ink,” Gordon said, pointing to the $18.5 billion California has in reserves for emergencies or a recession. With the state still enjoying an historic period of economic growth, Gordon also said eyes will be on the stock market’s impact on the General Fund as Newsom’s proposal moves forward. Capitol Advisors held 26 of the workshops at county offices of education across the state in partnership with CSBA; the Association of California School Administrators; the Small School Districts Association; the law office of Atkinson, Andelson, Loya, Rudd & Romo; and Climatec. The partnership will hold similar workshops across the state after the May budget revision, and again when the budget act is passed in June.